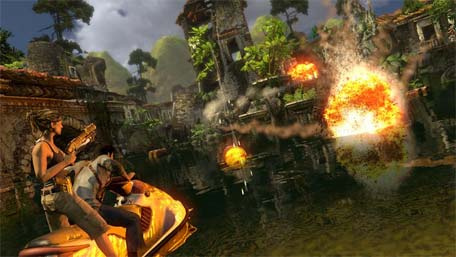 There's Already More Uncharted Plot In The Pipeline. Oh Hell Yes. Naughty Dog's Travis McIntosh and Neil Druckmann announced the project during last night's Playstation Blog live chat, describing the plot as "a prequel story that we eventually cut" from Uncharted 2. Given our penchant to buy anything Uncharted related, we totally can't wait.